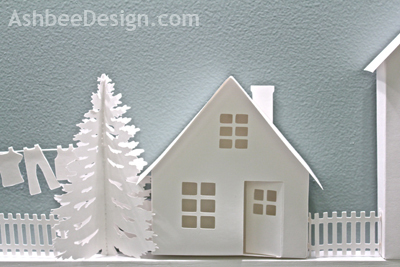 The paper houses that I shared with you in my previous post were truly quite easy to make. 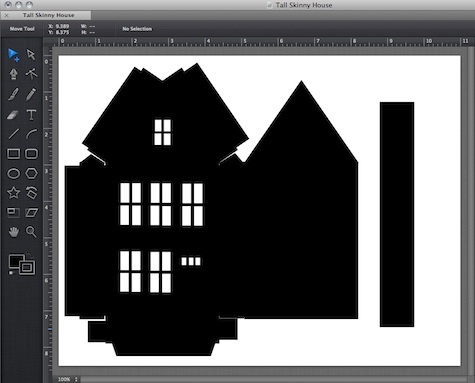 Each house is a separate design that I created in iDraw, imported into Silhouette Studio and cut on the Silhouette cutting machine. I'll outline the process below. 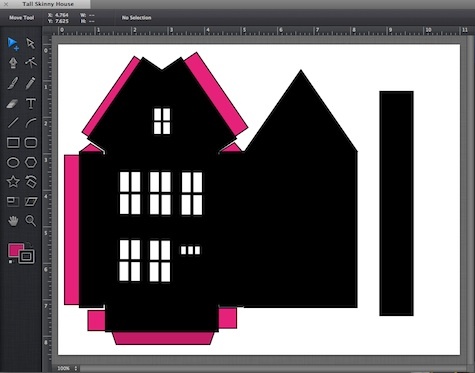 Note: This tutorial assumes you know how to use a drawing program and the Silhouette software. 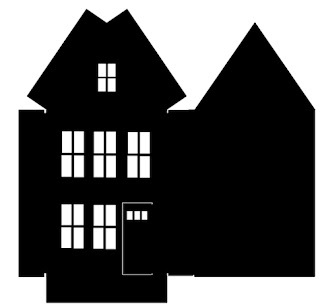 Working in an objected oriented drawing program, create a flat drawing of a simple house using ordinary shapes - rectangles and triangles. Make all that you want to be paper black and any openings white. 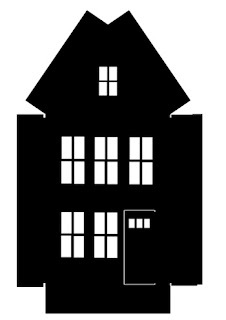 My basic house looked like this.Notice the outline of the door. This is so the machine will cut the door opening on 3 sides. 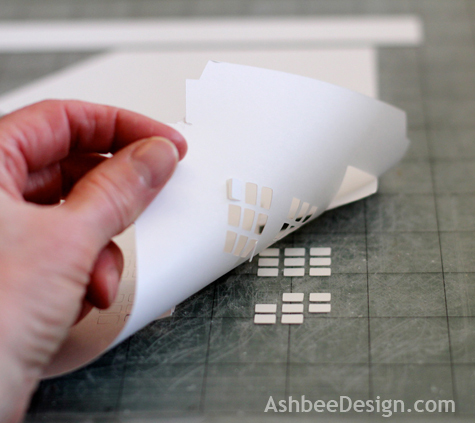 Add sides to all edges that are 3/4" deep. 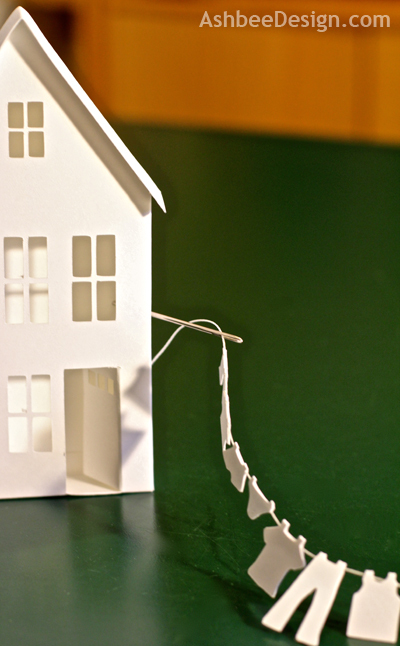 These will get folded back to give the house the depth of the ledge. 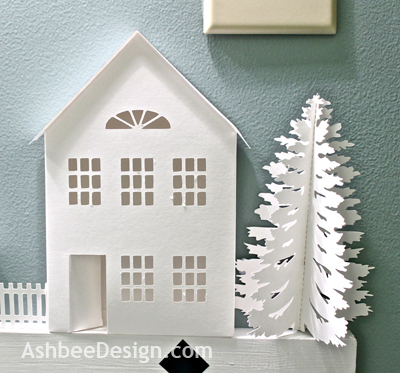 Duplicate the front of the house and add that to one side. This will be the back. Notice the little white notches. Those are fold indicators for after it is cut out. 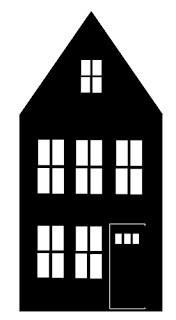 That is the basic house. 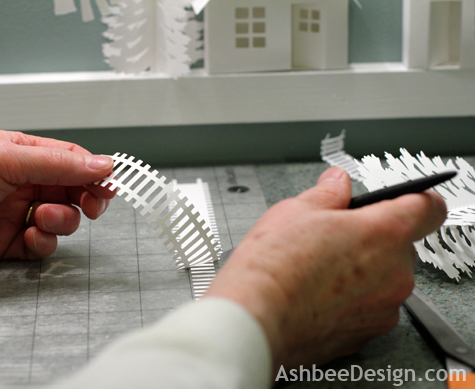 Add tabs to all areas that will need to be glued together. View of house with all added tabs for glueing. This view shows all the shapes I used outlined in pink. The pink is only for this picture so you can see how I built up this house from basic shapes. Have them all black for your project. The large rectangle off to the right will be an added roof. 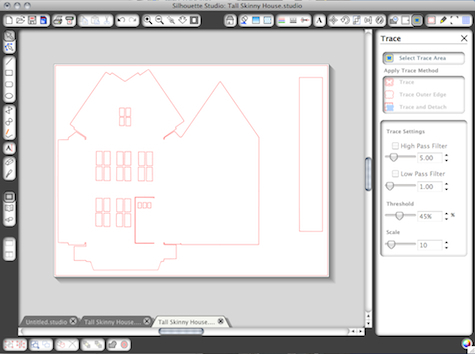 Export the file from your drawing program as a pdf file. Open the pdf file in the Silhouette Studio software. 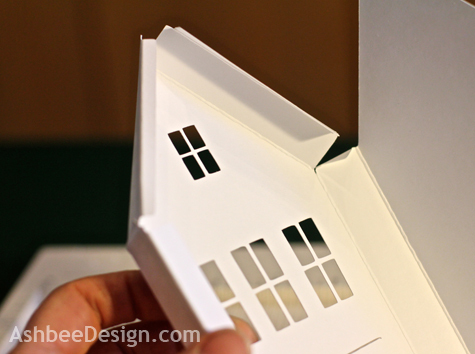 You must open the Silhouette software and then open the pdf from within the program. 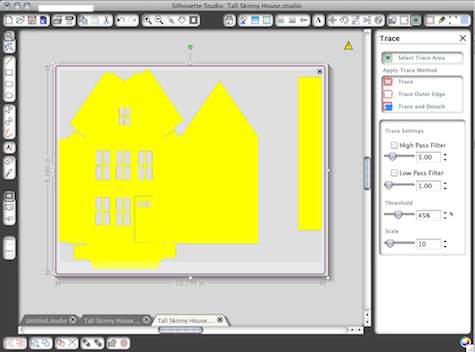 Click on the Trace icon and select the area to be traced. Change the trace settings to turnoff the high Pass Filter. My settings were set as shown above. Delete the original and your cut file will look like this. 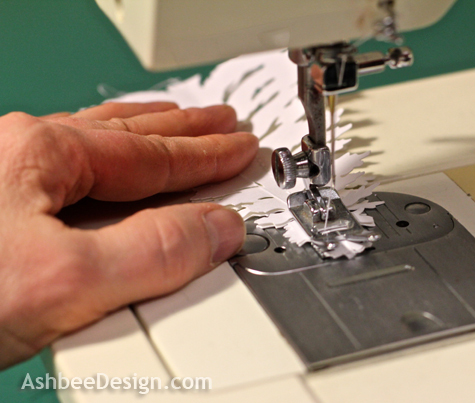 Once the cut is complete, remove it from the backing. I used the Martha Stewart Folding tray to help mark all fold lines. 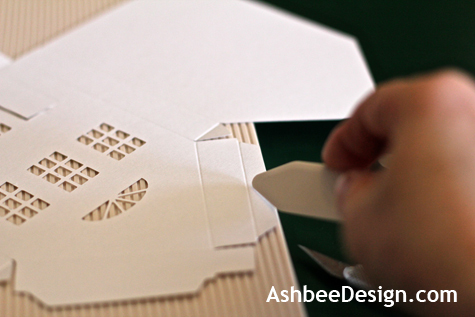 This tool is invaluable in make clean, crisp folds. Fold the house on all fold seams. 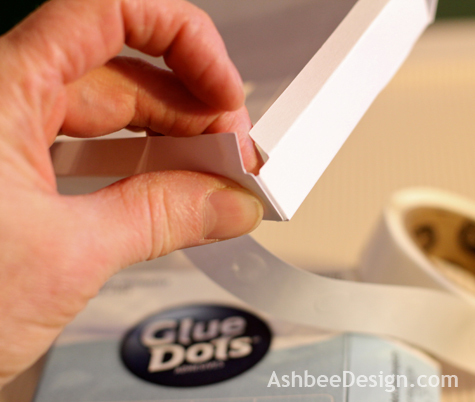 Using either glue dots or a quick drying paper glue, glue the tabs in place to hold the house in a 3-d form. I add a second roof to all houses because I like the appearance of the overhangs. That completes one house. I designed three different types as pictured in the original blog here. Now move onto the accessories. 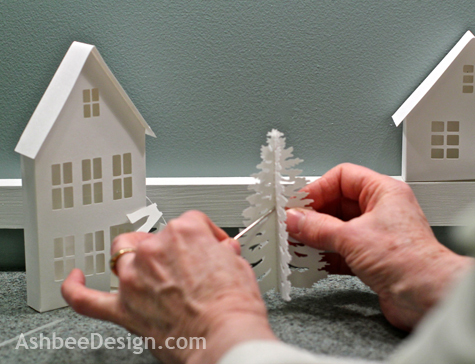 The trees are two pine tree silhouettes cut out and sewed together. 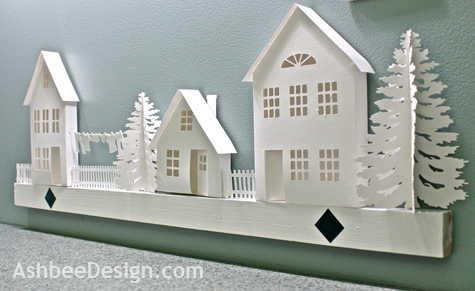 I made a picket fence file from a series of long rectangles directly in the Silhouette Software. I sketched simple clothing outlines and cut those with the silhoutte. 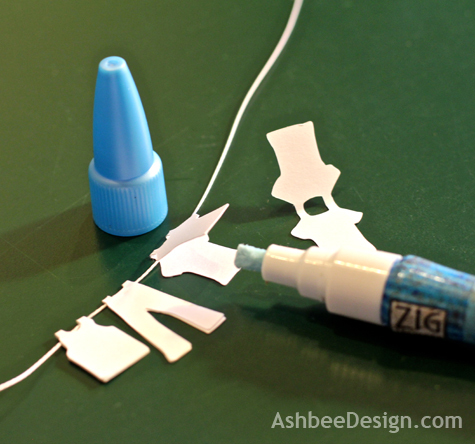 They were doubled and connected at the shoulders to fold over the line and glued in place. 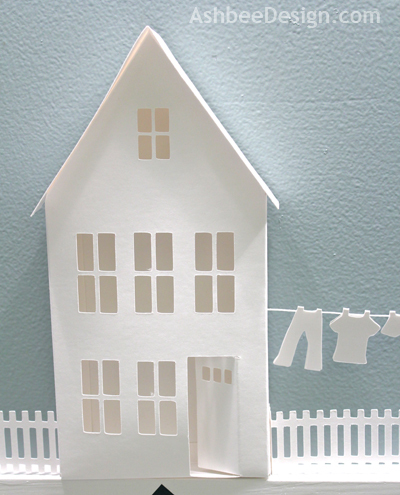 I threaded the clothes line into the side of a house and taped it in place on the back side. I also threaded it through the tree and knotted the other end in place. 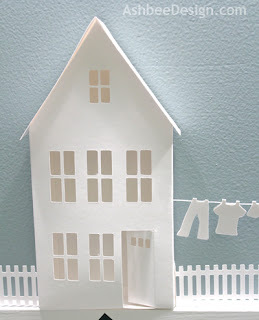 Using Blue tack adhesive, I stuck the various parts of the village to the wall. With the end result being a Ledge Village! 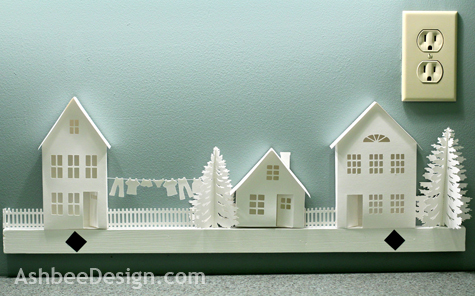 I designed this village for the ironing board ledge in my laundry room but it would look wonderful on any number of ledges, like over a door or window frame, on top of a picture frame, or on a narrow picture ledge. Be creative. Make a village and send me photographs! Thanks!! I use PS Elements and have a Silhouette.... I *think* I can do this!! 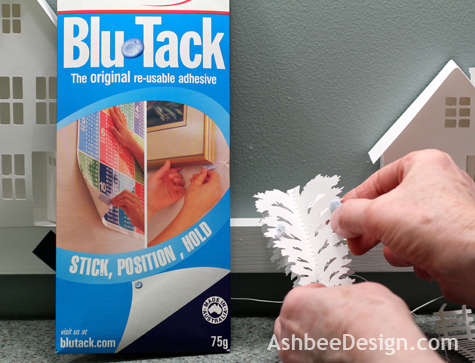 A great project to try on a icy day here in NC! Good luck and send photos of your finished project! 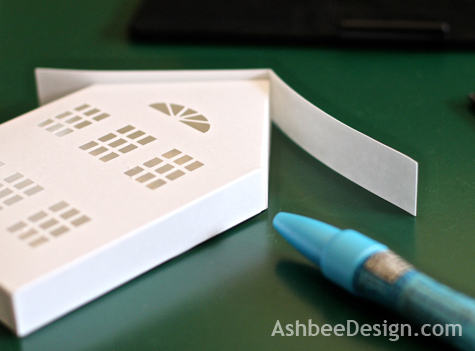 it is called the Martha Stewart Scoring Board and Envelope Tool. It is available through Amazon. is there a Silhouette or cutout rather of the tree design used here? thanks.